We are specialists in Gas Safety and conducting Gas Safety Checks. Trinity Gas can usually carry out Gas Safety inspections at short notice, and issue gas safety check reports at the time of inspection. We serve clients across Berkshire, Surrey, Middlesex, and West London. All landlords have a duty of care for their tenants. 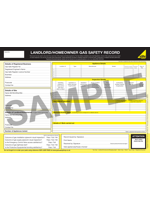 A gas safety certificate is physical evidence that a landlord has carried out an annual gas safety check at their property by a registered Gas Safe engineer. This is a legal requirement covered by the Gas Safety Regulations of 1998 that specifies that landlords must ensure that all gas appliances in their properties are safe. It is a legal requirement that a gas safety check is carried out within 12 months of the installation of any new gas appliance or flue. The gas safety certificate needs to be kept for 2 years and a copy given to the tenant before they move into the property. Gas safety checks are important to ensure that gas appliances are working efficiently and are not dangerous. Appliances such as gas boilers, cookers, and fires should be checked once a year. One of the most important reasons for the check is to detect any emissions of carbon monoxide. Carbon monoxide poisoning can put the lives of your family, or tenants, at risk. We are specialists in Gas Safety Checks. Landlords have a legal requirement to carry out Gas Safety Inspections on properties they are renting out. 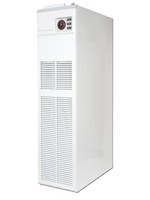 We service most brands of warm air heaters including Johnson Starley. Most gas warm air heater manufacturers recommend a service every 12 months. Ascot, Ashford, Bagshot, Beaconsfield, Bracknell, Burnham, Camberley, Chertsey, Cookham, Crowthorne, Egham, Feltham, Hayes, High Wycombe, Langley, Maidenhead, Marlow, Slough, Staines, Uxbridge, West Drayton, Weybridge, Windlesham, Windsor, Woking, Wokingham. © 2019 Trinity Gas. All Rights Reserved.